It’s impossible to hate this guy and you can see just how much the French cherish him and how much Deschamps cherishes him. 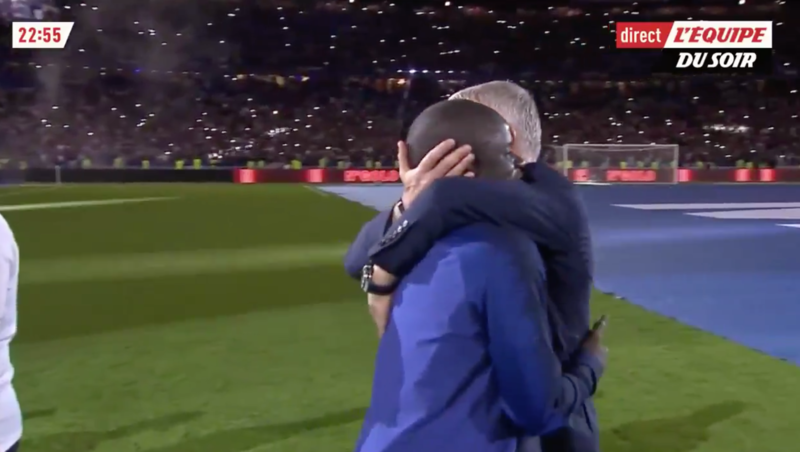 He received the loudest cheer of all coming onto to the pitch before the whole team managed to get the entire stadium singing the Kante song. After that, they lifted him up on their shoulders as they walked around the stadium. Amazing.